While reporting just outside of Darfur, Stephan Faris discovered that climate change was at the root of that conflict, and began to wonder what current and impendingand largely unanticipatedcrises such changes have in store for the world. Global warming will spur the spread of many diseases. Italy has already experienced its first climate-change epidemic of a tropical disease, and malaria is gaining ground in Africa. The warming world will shift huge populations and potentially redraw political alliances around the globe, driving environmentalists into the hands of anti-immigrant groups. Americas coasts are already more difficult places to live as increasing insurance rates make the Gulf Coast and other gorgeous spots prohibitively expensive. Crops will fail in previously lush places and thrive in some formerly barren zones, altering huge industries and remaking traditions. Water scarcity in India and Pakistan have the potential to inflame the conflict in Kashmir to unprecedented levels and draw the United States into the troubles there, and elsewhere. Told through the narratives of current, past, and future events, the result of astonishingly wide travel and reporting, Forecast is a powerful, gracefully written, eye-opening account of this most urgent issue and how it has altered and will alter our world. Armed with a master's in journalism from Columbia University and a CV citing his coverage of issues in the Middle East, China and Africa for many prestigious publications, Faris demonstrates incredibly sound reporting. But sometimes the writing is almost too calmly controlled for a subject this cataclysmic. 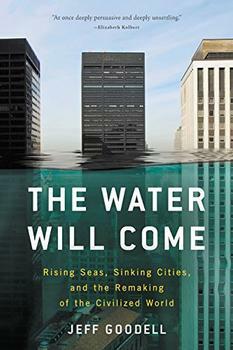 In his epilogue the author states, "In a sense, this book is an exercise in optimism," and "The consequences of global warming described in this book may be alarming, but they're not meant to be alarmist." The lack of passion contrasts with the numbing possible scenarios, such as the potential of tens of millions of refugees entering India, Burma, China, and Pakistan if Bangladesh were to experience large-scale flooding. (Reviewed by Beth Hemke Shapiro). ... He elegantly negotiates the tricky line between the personal and political, and in doing so provides a more accurate and powerful warning about the perils of climate change than many other books in the genre. It is not the first time that someone has toured the world to root out how climate change is changing our lives. The pioneer work here was Mark Lynas’s High Tides. But Faris is the most perceptive so far about its growing place in our daily lives, our iconography, and, sometimes, our paranoias. An intelligent, nuanced report on the complex relationships between increasingly unstable weather patterns and politics, ecology and lifestyles. A globe-spanning look at the effects of climate change, already apparent in our time ... Faris writes deftly about the developing world. This [is an] eyewitness account of practical concerns that add up to a climate emergency. Bill McKibben, author of The End of Nature. Bad news is good news if it gets us to act. Forecast should--it shows that this is not a crisis for our children, but the central question of our time. lan Weisman, author of The World Without Us. Stephan Faris has traveled everywhere, holding his journalist's looking glass up for everyone to see the same carbon-crazed climate monster looming in every reflection. Reader, that mirror is now in your hands: Your world, too, is peering from these pages. Better pay attention. Global warming usually suggests images of wild tempests and massive floods, but some countries are trying to tap into what they see as potential benefits of climate change. 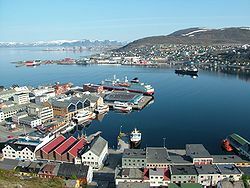 One of the numerous fascinating places that Stephan Faris visited to collect material for Forecast is Hammerfest in northern Norway. Billing itself as the northernmost city in the world, this small Arctic city has witnessed a recent explosion of growth and tourism thanks to melting ice and the resulting increase of maritime accessibility.